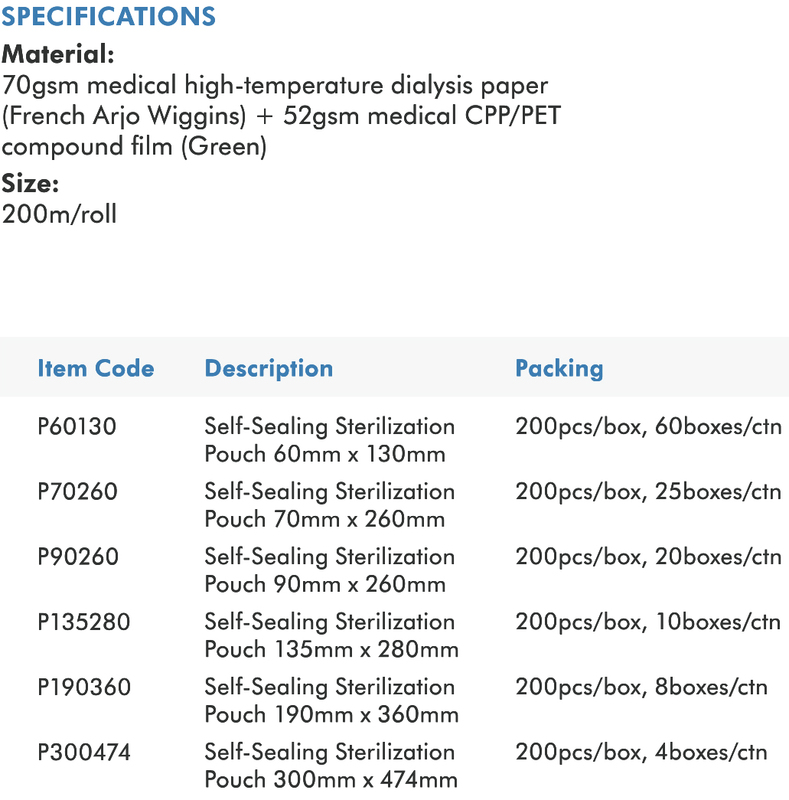 Made of high grade medical dialysis paper and CPP/PET comppund film which can withstand high temperature. Manufactured according to EN868-5 and ISO11607 standard. The indicator used in the pounch production is classified as Class1 Type indicator to the ISO11140-1 standard. The medical adhesive tape can makes rapid and efficient sealing without the sealing devices.